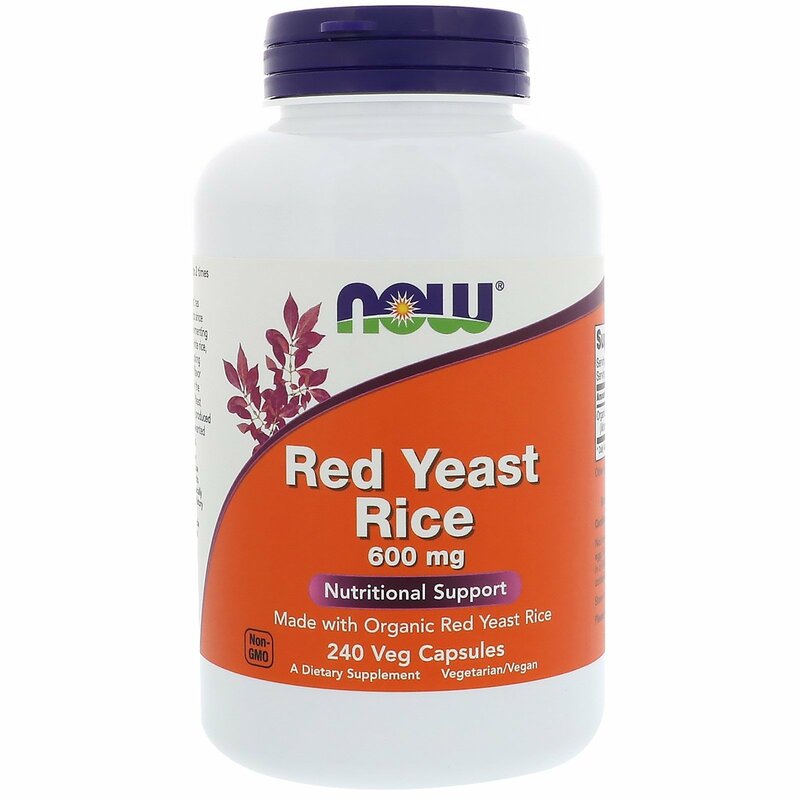 Red Yeast Rice is a natural product that has been used by Asian traditional herbalists since approximately 800 A.D. Produced by fermenting Red Yeast (Monascus purpureus) with white rice, Red Yeast Rice is commonly used in cooking applications to enhance the color and flavor of foods. Peking Duck is an example of the coloration and flavor imparted by Red Yeast Rice. NOW Red Yeast Rice is carefully produced to avoid the presence of citrinin, an unwanted by-product of the fermentation process. 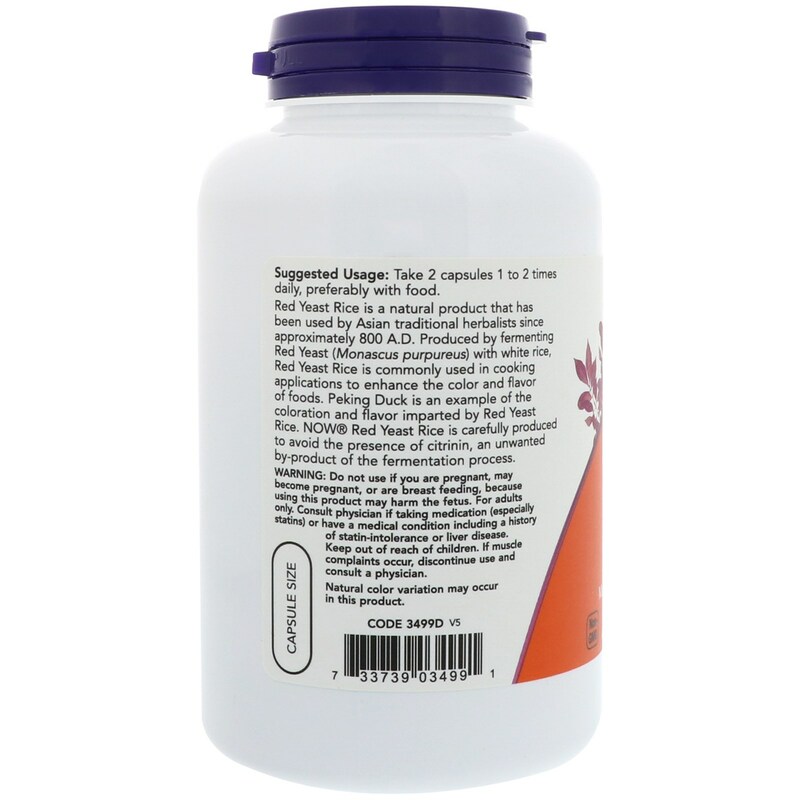 Take 2 capsules 1 to 2 times daily, preferably with food. Do not use if you ar pregnant, may become pregnant, or are breast feeding, because using this product may harm the fetus. For adults only. Consult physician if taking medication (especially statins) or have a medical condition including a history of statin-intolerance or liver disease. Keep out of reach of children. 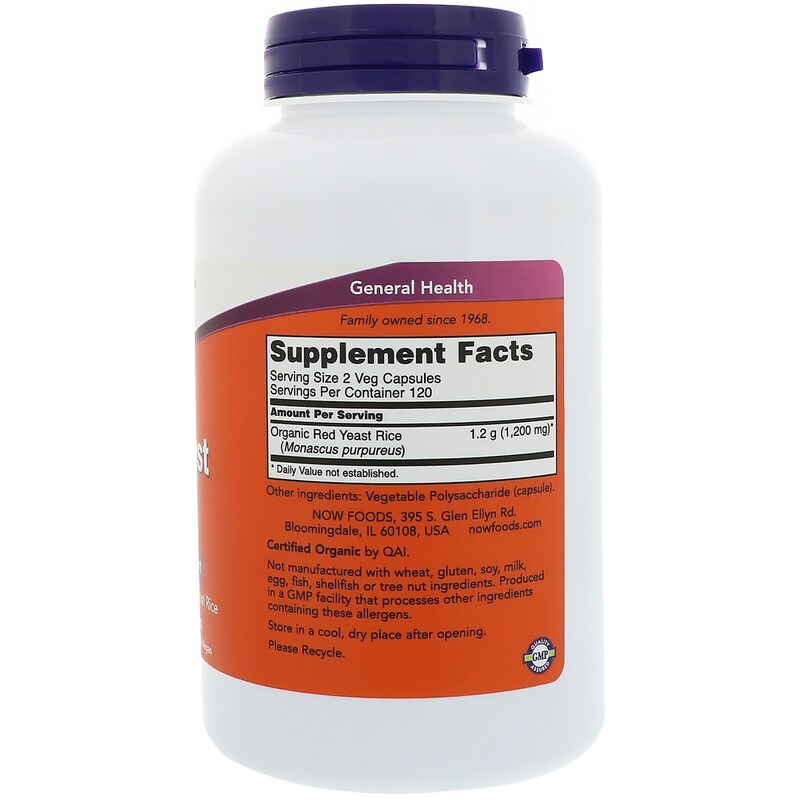 If muscle complaints occur, discontinue use and consult a physician.